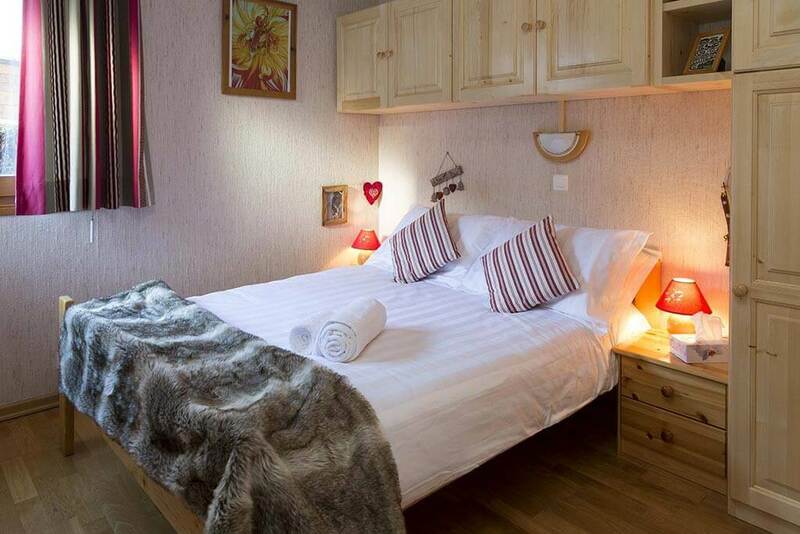 A fantastically positioned, bright and practical self-catered apartment, situated only metres from the ski pistes in one of the best positions in Morzine. 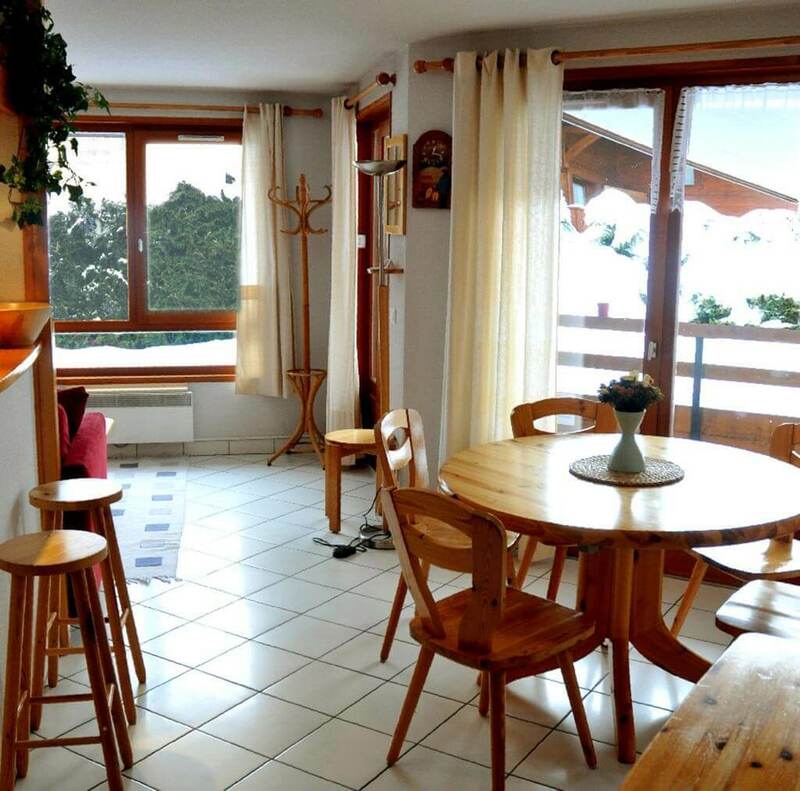 The location of this ground floor apartment allows for easy access to the main Pleney ski lifts and centre of Morzine. The property is part of a small development and comprises of one double bedroom, bunk beds in an alcove and sofa bed in lounge (if required). Sleeps 2-5. 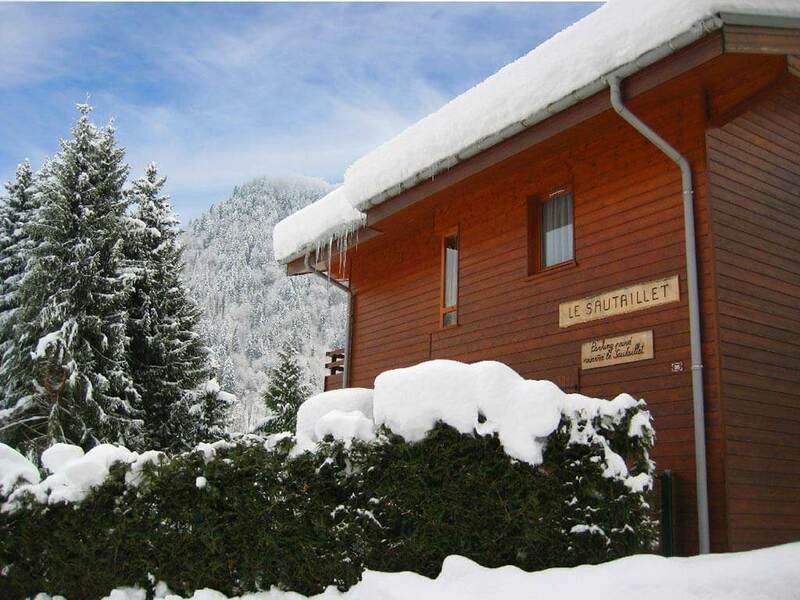 Offering the possibility for a near ski-in ski-out winter holiday (depending on snow conditions), our charming Apartment le Sautaillet is metres from direct access to a piste that leads back to Morzine’s main Pleney ski area (via a short button lift). This lovely self catered apartment (with south-facing balcony, patio and garden) is cleverly furnished and thoroughly equipped. It is ideal for a family of up to 5, whereas we recommend adult groups do not exceed 4 people in order to not compromise the comfort of the apartment. 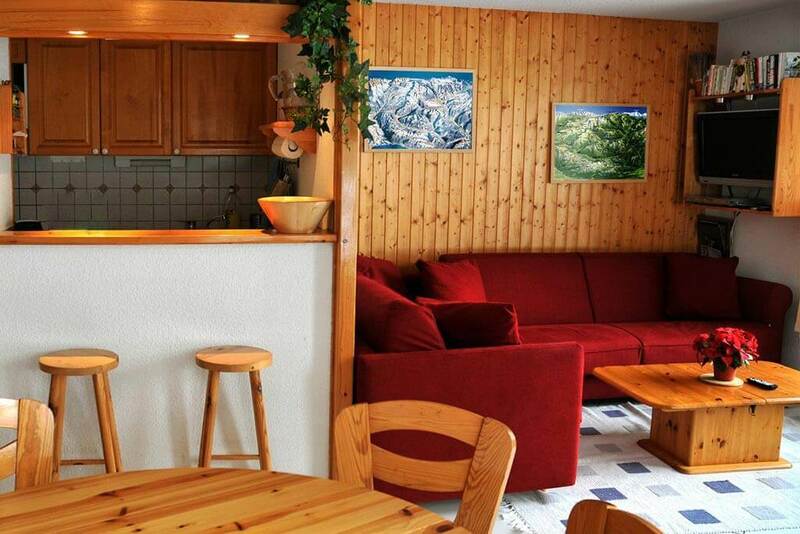 The apartment’s location, very close to the centre of Morzine, is highly sought-after. Le Sautaillet enjoys the benefits of a quiet residential area, yet less than a 10 minute walk to the town centre, with its many bars, shops, supermarkets, restaurants and main cable car lifts. There is a free ski bus for Les Prodains (Avoriaz) only 150 metres from the door. N.B. 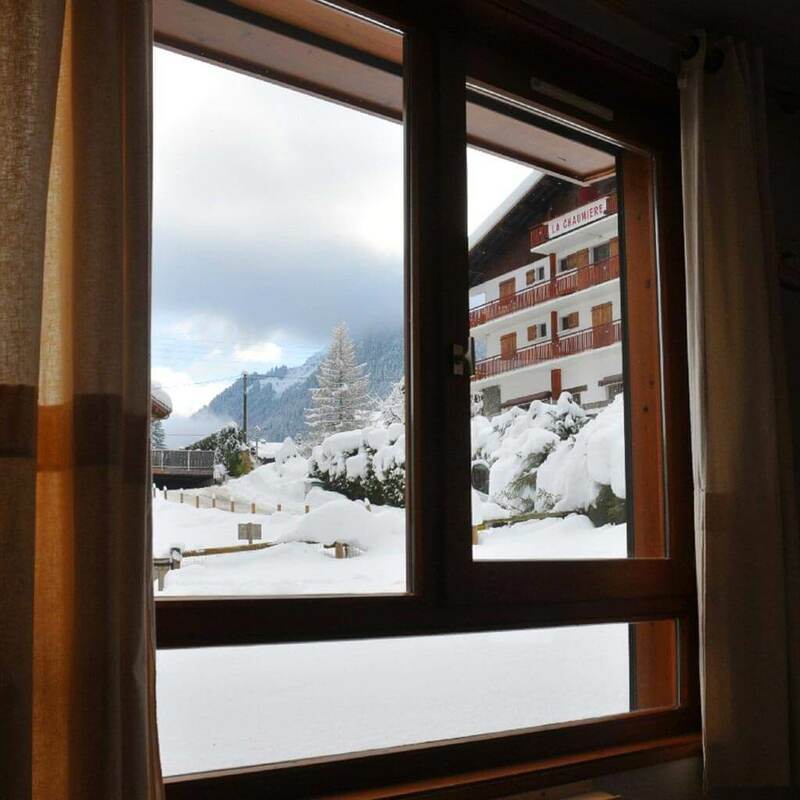 Apartment le Sautaillet is situated immediately next to our flagship Chalet des Montagnes and Chalet-Hotel la Chaumiere. 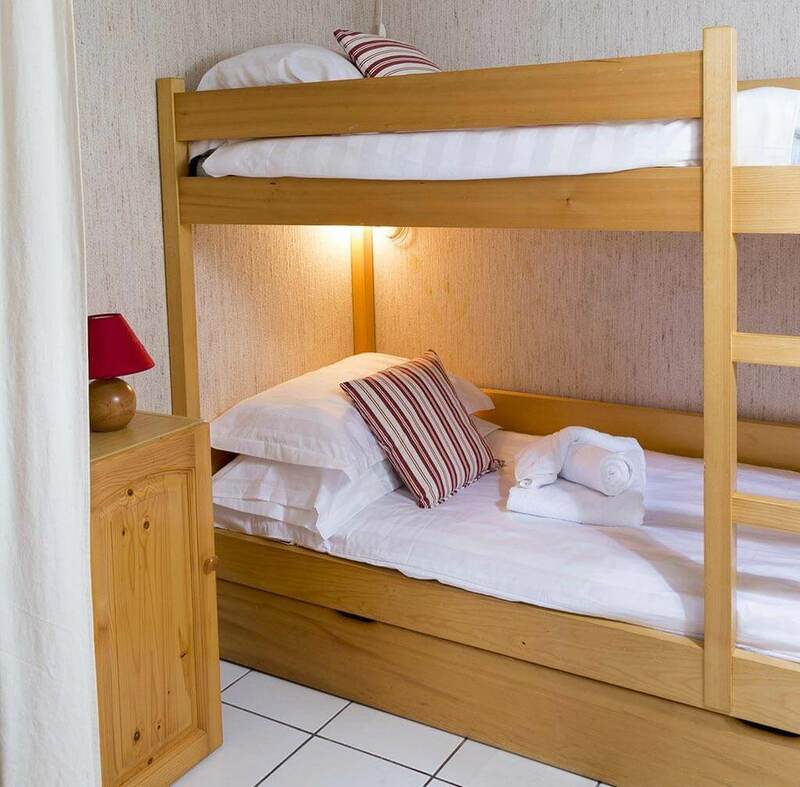 The apartment’s main bedroom (double bed) and alcove (with fitted bunk beds) are accessed from the long entrance hallway. 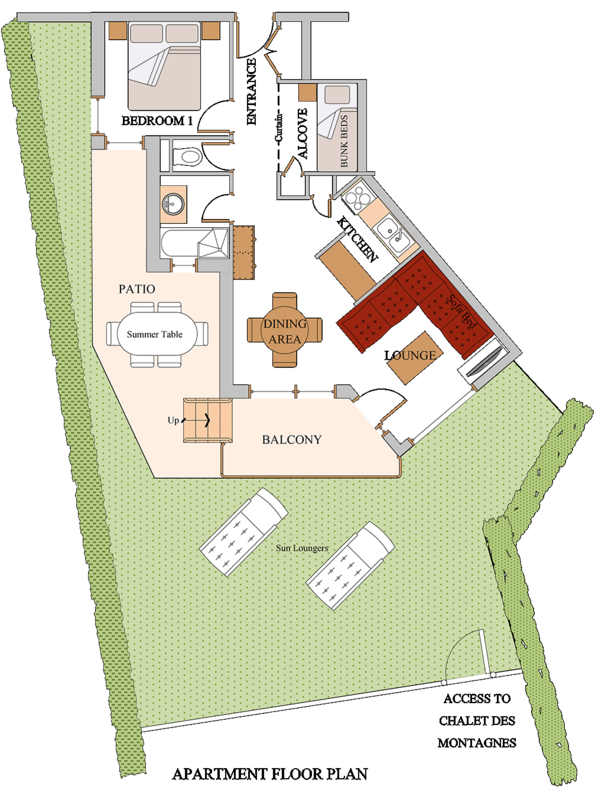 Continue into the spacious and bright open-plan living room with lounge and dining areas. There is an excellent quality double sofa bed, WiFi, flat screen TV (with UK Freesat), DVD player and wireless music system. 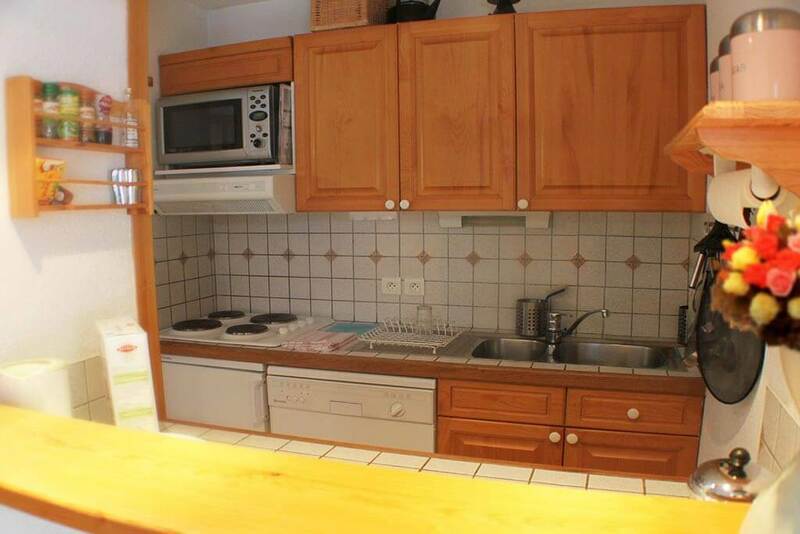 The kitchenette includes dishwasher, washing machine, microwave/oven, fridge-freezer and everything else needed for a self catered ski holiday in Morzine. 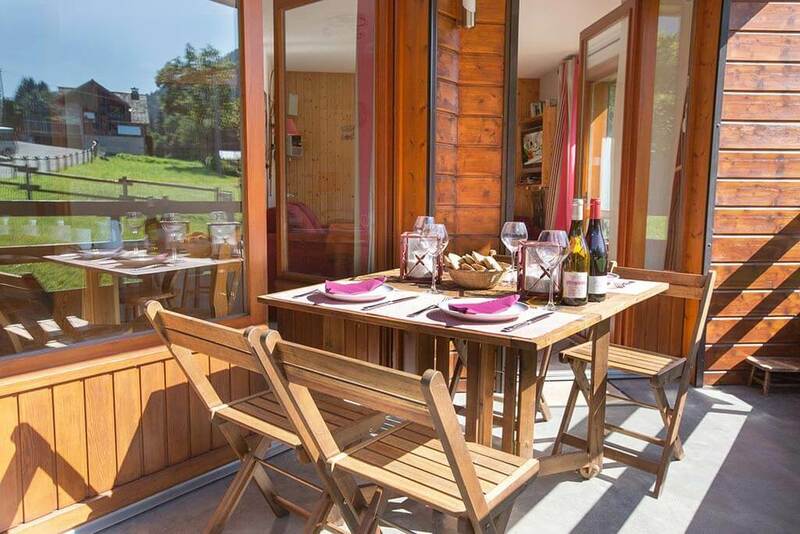 A stand out feature is the south-facing private balcony and garden area, from where there are picture-postcard views across Morzine and up towards the Pointe de Nyon, Ressachaux and Dents Blanches mountains. The balcony is perfect to relax and unwind with a drink after a day on the slopes. 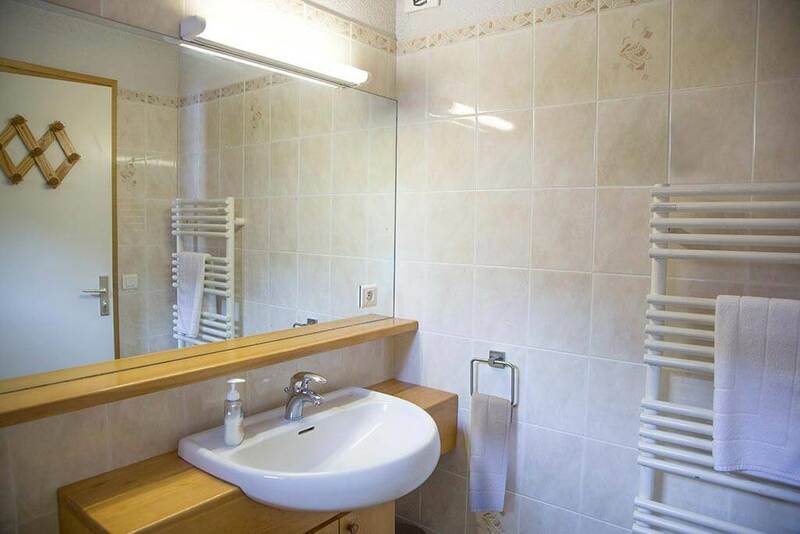 The apartment also benefits from a large bathroom with full-size bath and shower, which is rare for ski accommodation. There is a separate WC. Le Sautaillet will be fully prepared for your arrival, complete with luxury bed-linen, towels and complementary toiletries. There are parking spaces and a separate ski/snowboard storage area. 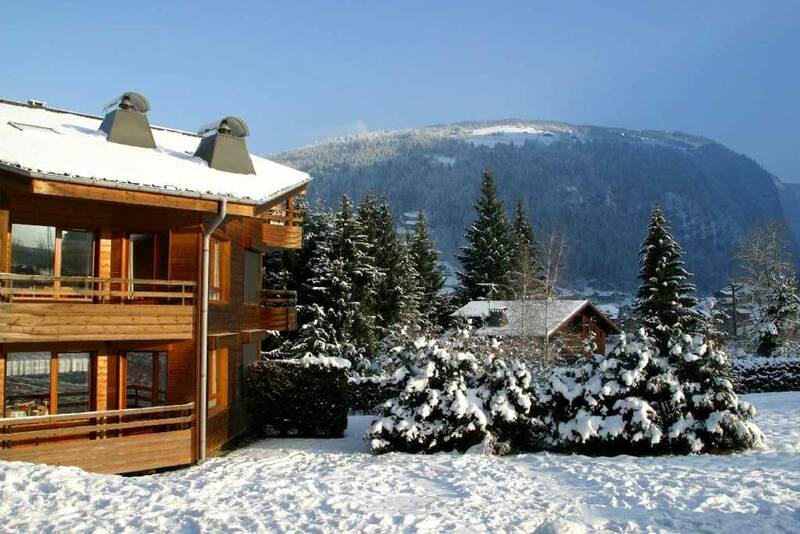 A dedicated Simply Morzine resort representative is available to help and assist during your stay. 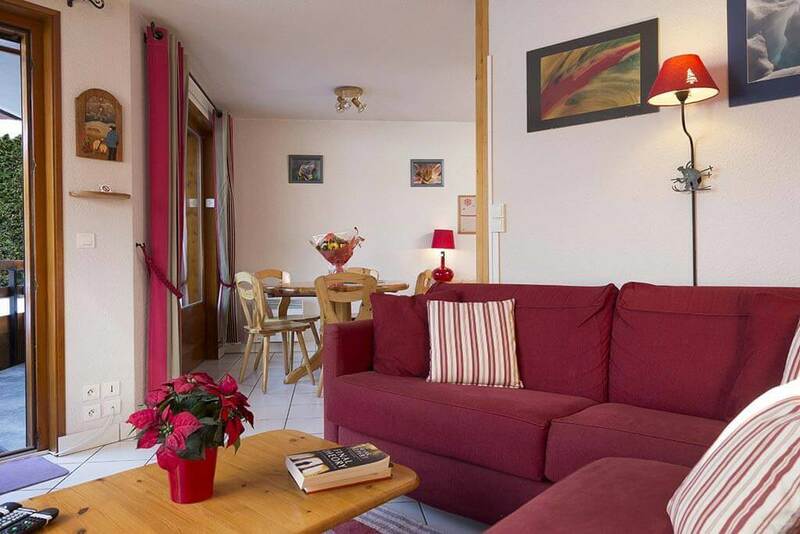 Apartment le Sautaillet is perfect for a small group of friends – or a single family – looking for a stunningly located, modern and well-appointed self-catered apartment in Morzine this winter. 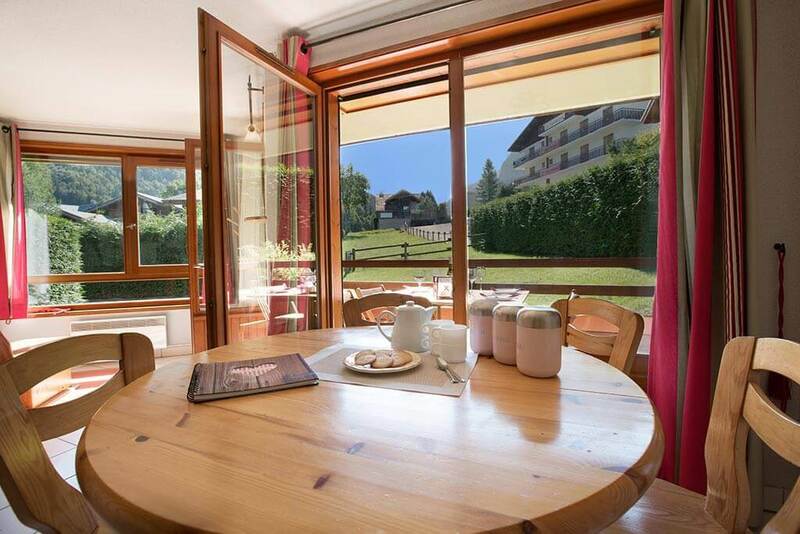 The location is one of the most sought-after in resort; a peaceful residential area with magnificent views and plenty of outdoor space (rare in Morzine) yet just 50 metres from the piste, a 5 minute walk from the nearest lift and our local ski shop, and an easy 10 minute walk to the town centre.